Sophie Turner is one of the few actors on Game of Thrones who is able to distinguish herself in real life from her character on the hit HBO show. The 22-year-old actress does this with one simple, but major, difference between the two: her hair. 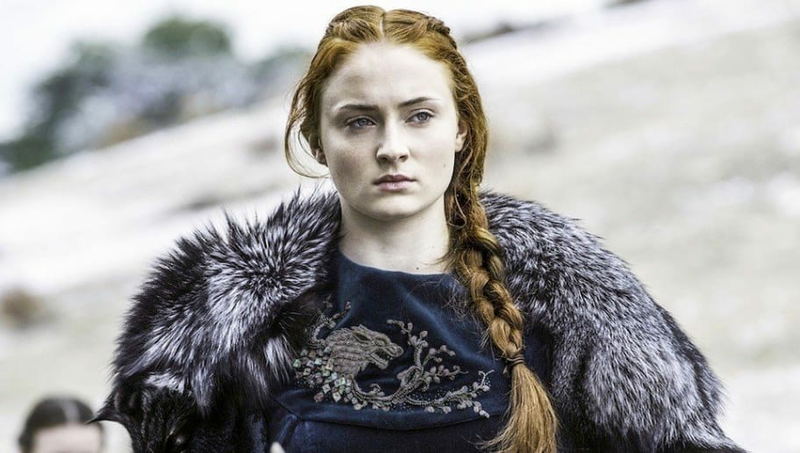 While we know Sophie to have beautiful icy blonde locks in real life, any Thrones fan also knows her character, Sansa Stark, has luscious long red curls. And in a new interview with InStyle, Sophie just revealed something kind of gross about her hair during filming. There were times she wasn't allowed to wash it. "For the first few seasons I was allowed to wash my hair because I was an aristocratic young girl," Sophie explained. "Towards season 5, they started asking me to not wash my hair, and it was really disgusting." Many of the Thrones actors were actually asked not to wash their hair so that it looked authentically dirty and grimy for the show. The star also revealed in November that she had to start wearing wigs because switching back and forth from Sansa’s fiery red to her blonde look was really killing her hair. Thankfully for her hair, her days on Thrones are now over. You can catch her one last time as Sansa when the series returns on April 14.